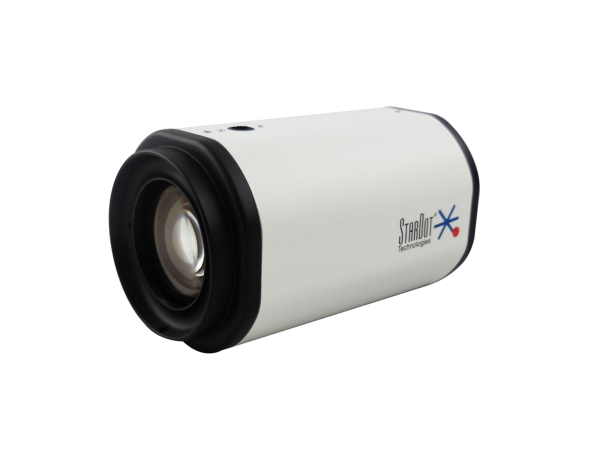 The SQ Series Optical Zoom Camera is a IP Camera that transmit Internet Protocol Video Stream that is based on internet protocol network standards. SDHQ130ZN is ONVIF compliant and can work with most ONVIF compliant NVR / VMS. This IP Camera uses a CMOS image sensor that provides HD720p high picture quality video output under low illumination. The sensor features an pixel technology using diagonal 3 µm square pixels, which has improved the signal-to-noise ratio. The combination of StarDot image processing and latest imaging sensor in SDHQ130ZN provides a quality ambient lighting image for surveillance usage. The box camera is designed with two (2) screw holes, at top and bottom of the the camera body. This allows the camera to be easily fitted into an enclosure. Camera and enclosure design solution creates an iconic deterrent to lower possible criminal activity.